Principal Cast : Julia Roberts, Owen Wilson, Jacob Tremblay, Isabela Vidovic, Noah Jupe, Bryce Gheisar, Elle McKinnon, Millie Davis, Ty Consiglio, Kyle Harrison Breitkopf, James A Hughes, Sonia Braga, Mandy Patinkin, Daveed Diggs, Ali Liebert, Danielle Rose Russell, Nadji Jeter, Nicole Oliver, Rachel Hayward, Crystal Lowe, Steve Bacic. 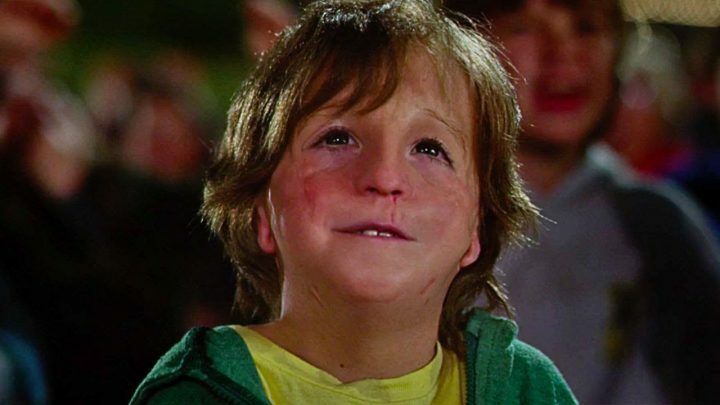 Synopsis: The incredibly inspiring and heartwarming story of August Pullman, a boy with facial differences who enters 5th grade, attending a mainstream elementary school for the first time. Heart-warming, beguiling, genteel: Wonder is a film that flirts with dramatic incongruity yet remains resolutely plain. Echoing in many ways the old Cher flick Mask, in which a young boy with a significant facial deformity must confront the social segregation and ostracism, Wonder’s central premise is told from a number of different viewpoints with a sense of rose-coloured fantastical dreaminess, a blissfully cognisant fable of overcoming fears and anxieties that almost, almost mind you, wallows too deeply in overly sentimental resolution. Wonder isn’t a bad movie, it’s just not a film of sufficient complex parts to rise above mawkish platitudes, and that’s the most disappointing part. Young Auggie Pullman (Jacob Tremblay) is a boy with considerable social anxiety, due to his severe medical facial deformity, and during his young life has remained home-schooled and pretty much a recluse. His parents, mother Isabel (Julia Roberts) and father Nate (Owen Wilson) have upended their lives in order to provide and care for Auggie, a factor which causes feelings of resentment in his sister Via (Izabela Vidovic). However, Auggie is approaching middle-school, so the Pullman’s make the decision to send him to a private school to experience the real world, and as expected is greeted by bullying and abusive language, until he makes friends with one classmate, Jack (Noah Jupe). My wife and I both enjoyed Wonder. After all, how can you go wrong with such a polarising story and a cast including Julia Roberts and Owen Wilson? 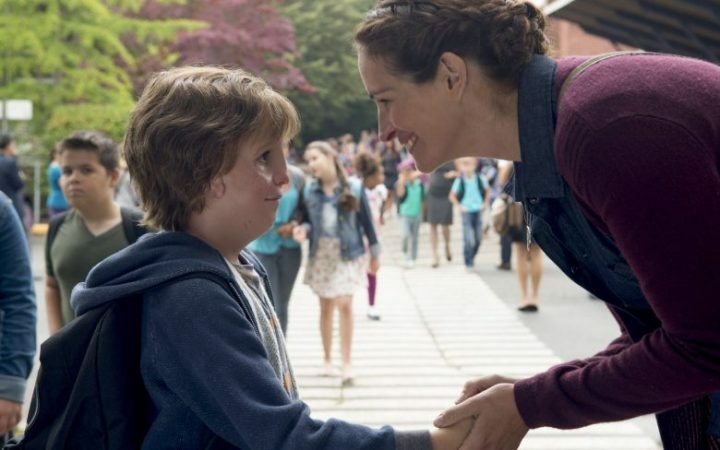 Wonder isn’t a bad film by any stretch, and a lot can be made of its approach to reminding us about our own prejudices, even if the point is hammered home with a velvet sledgehammer and Jacob Tremblay’s convincing, aching performance as the disfigured Auggie. You can kinda sense where the film might venture right from the start, and I’ll be the first to spoil the film and say it goes exactly where you think it might. Juxtaposing Auggie’s parents problems, Via’s sense of entitlement and her burgeoning romance with classmate Justin (Nadji Jeter, who makes Obi Wan Kenobi seem stand-offish by comparison) and Auggie’s friendship with Jack between the film’s purposeful coming-of-age clichés, Wonder’s blithe sentimentality threatens to overwhelm the characters at times. 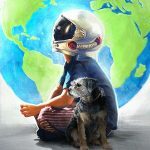 You’ll either find yourself softly gasping at entrenched awfulness in the kids around Auggie or you’ll not care one jot, because the film’s heart-on-sleeve approach to the material is so soft-focused and easy-listening makes it all feel somewhat surreal. 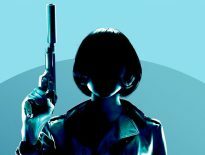 The film is divided up into chapters of a sort, offering sub-narratives in which the viewpoint of the film’s main characters are contrasted with each other. Auggie’s is obvious, finding solace in solitude and the love of his mother, while Via’s is more teen angst with one of her friends, Miranda (Danielle Rose Russell) suddenly breaking off contact, and then Jack’s in which he’s confused why Auggie stops being his friend after a misunderstanding of sorts. Director Stephen Chbosky’s work here is effective if prosaic, lacking a sense of impact and instead remaining astutely distant from the characters. There’s a soft glow to the film’s visual aesthetic, as if occurring in a dream, and the photography on the movie is absolutely gorgeous; technical merits aside, you’d be a hard-hearted stone not to at least empathise with the Pullman family, but somehow the emotional attachment to Auggie’s plight feels a touch too “safe”, if that makes sense. Tremblay is a good little actor (his work in Room is marvellous) and he works hard to bring his character to life beneath the facial prosthetic attached to him throughout, and he’s surrounded by a talented ensemble propping him up, so it’s frustrating to find a film so self-absorbed with being beautiful it forgets to actually say something profound. 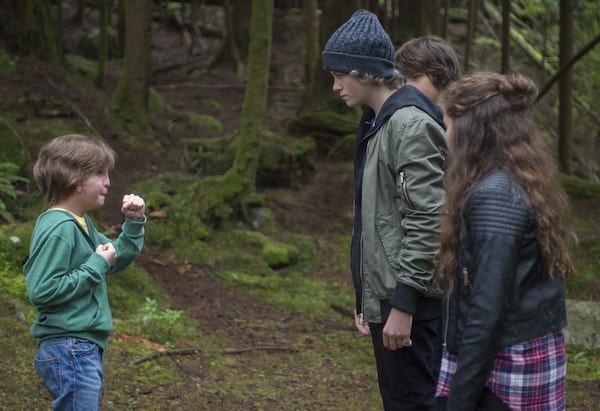 From L to R: Noah Jupe as “Jack Will,” Elle McKinnon as “Charlotte,” Mille Davis as “Summer” and Jacob Tremblay as “Auggie” in WONDER. Beset with the best possible production values and source material that feels designed to prod your heart if not your mind, Wonder’s pillowfight approach to the trials and tribulations of Auggie and his family should have hit a home run – the mere presence of Mandy Patinkin alone, as the school principal, was enough to have me watching – but there’s a touch of the mediocre about the movie. As I mentioned, the film plays things far too safe, far too wrapped-with-a-bow Hollywood, despite the best efforts of all involved. A kind of reverse Elephant Man fable, Wonder’s simple – some might say honest – portrayal of prejudice and hatred of that which is different might ring true in many ways for today’s society, but the film’s lack of edge and disingenuous tone might leave some feeling like it’s a pyrrhic victory at best.